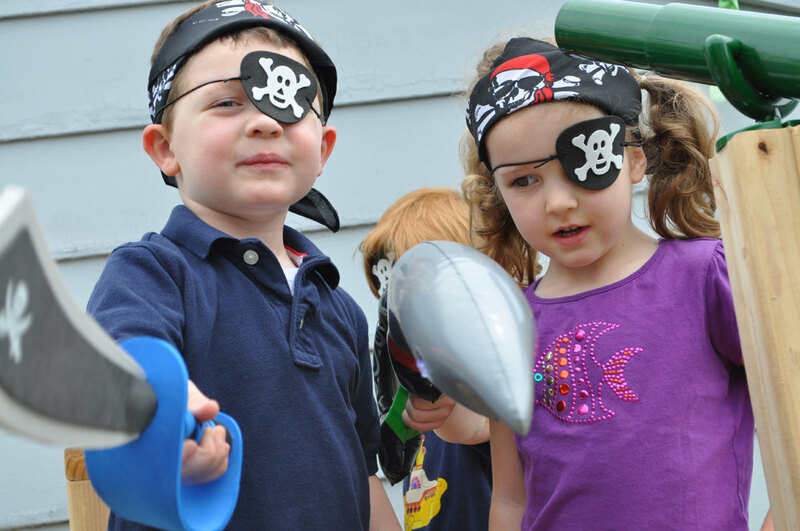 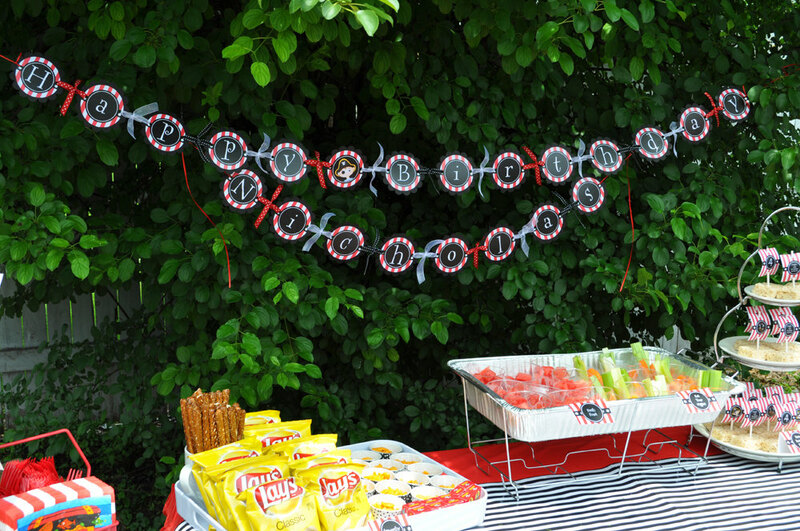 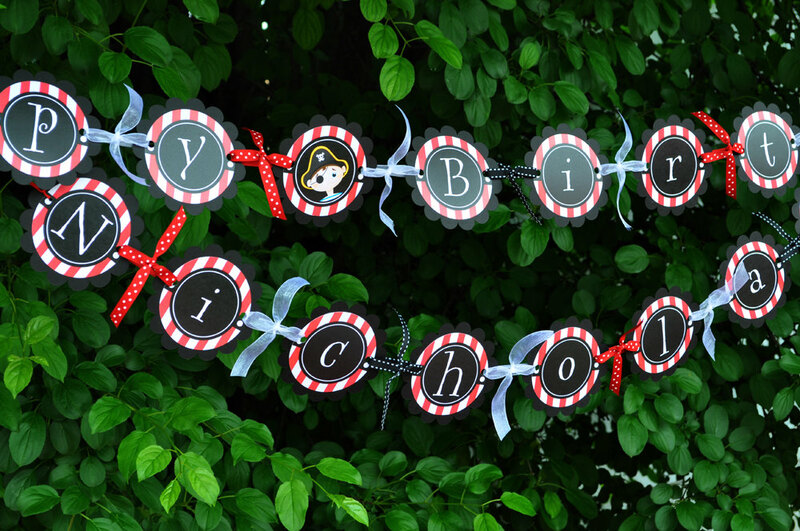 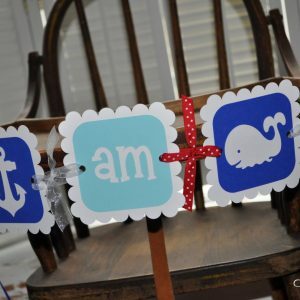 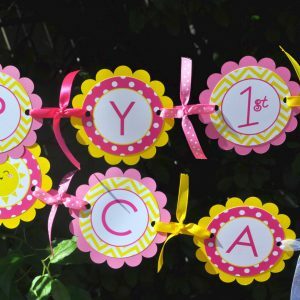 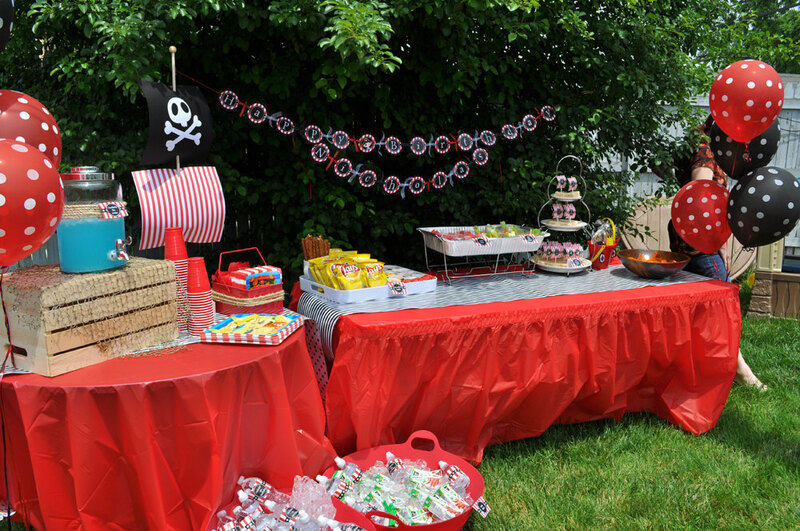 Decorate your little boy’s pirate party with this pirate theme birthday banner. 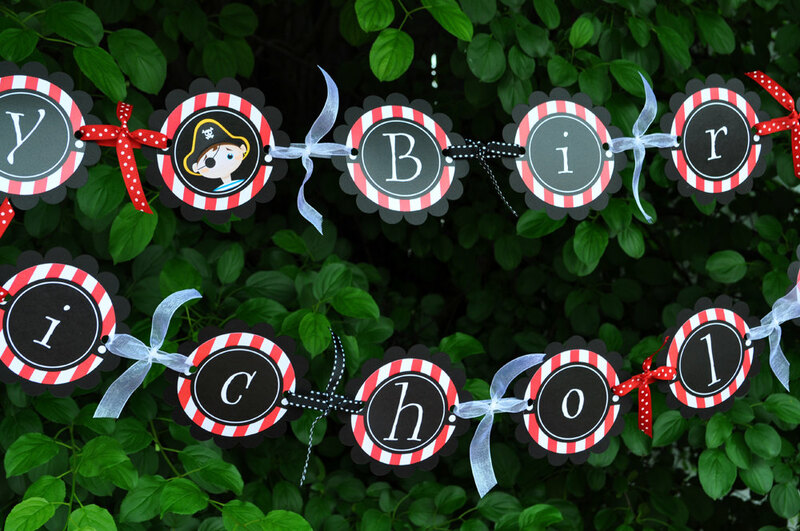 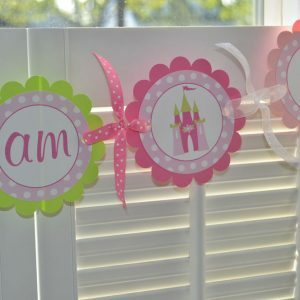 Personalize with the birthday boy’s name. Colors are black, red and white.